As discussed in Part 2, the transition to a low-carbon economy is a massive task requiring extensive government intervention. In the recent leadership campaign, Jeremy Corbyn promised to “promote the growth of over 200 ‘local energy companies’” and to “support the development of 1,000 community energy co-operatives”. Presumably by “local energy companies” he is referring to council-owned gas and electricity distributors such as Nottingham’s Robin Hood Energy. The “community energy co-operatives” would appear to refer the small generators of renewable electricity which can be found across Britain such as the Brighton Energy Co-operative. While placing electricity supply in the hands of local authorities may well be a good idea, it does not amount to nationalisation of any part of the industry. In Nottingham, the physical infrastructure is owned by Western Power Distribution, a subsidiary of the American energy company PPL Corporation. Nor do all Nottingham residents purchase their electricity from the council; Robin Hood Energy is simply one option along with the Big Six and other, smaller, competitors. In fact, the way the energy market is currently regulated means that Robin Hood Energy must offer to sell electricity and gas to people all across Britain. Such local suppliers would, in effect just be additional players in the market. This would not address the problems of money wasted on advertising, promotions, and the bureaucracy needed to manage people changing suppliers. On the other hand, there is almost nothing positive to be said about energy co-operatives. Co-operatives are generally owned by their employees or its customers. For energy this is not the case. Instead, locals become members of the co-operative by paying to finance new energy projects. Given the structure of the UK energy market, it is impossible for them to then buy their power from the co-op which sells its power to one of the energy supply companies and returns the profits to its investors as dividends. The Brighton Energy Co-operative aims to make a 5% return on investment each year, which is substantially higher than the cost of servicing public-sector borrowing. Despite the talk of “community ownership”, energy co-ops have more in common with Margaret Thatcher’s “share-owning democracy” than with a socialist vision of society and are a far-cry from Corbyn’s first leadership campaign call to nationalise the energy companies. Today, there are four components to the electricity sector. National Grid plc owns the high-voltage transmission lines and is the “system operator” (turning power plants on and off to match supply and demand). There is a single company in each region owning and maintaining the distribution network. Generation consists of various companies, ranging from giants like EDF to small renewable energy co-ops. Finally, there are the supply companies which purchase electricity on a wholesale market from various generating companies. Energy for the 21st century must be clean, reliable, and as cheap as possible. A Labour government must ensure rapid decarbonisation of the electricity supply, while at the same time increasing electricity production and ensuring that the lights remain on. As all low-carbon sources of electricity are capital-intensive and have slow return on investment, the only way to make the private sector build it is to provide generous fixed prices for the electricity. This is expensive, so it makes far more sense to build these projects in the public sector, especially given the low interest rates at which a government can borrow. A newly-created Power Generation Board (PGB) would be given a strict and aggressive time-table to build new infrastructure with which to decarbonise Britain’s electricity supply and begin replacing non-electric energy sources. The exact details of how this would be achieved are a technical matter best addressed by experts. However, for reasons discussed earlier, it seems clear that nuclear power will have to play a major part in any sustainable energy mix. Nuclear power is cheapest when built by a public sector with capacities for economic planning and direction, as in France in the 1970s. Currently Britain lacks such capacities. To begin to regain them, measures should be taken to concentrate nuclear expertise in the state. One important step in this direction would be nationalising the existing nuclear power plants, to be placed in the hands of the PGB. Furthermore, an additional state enterprise, in the vein of the old British Nuclear Fuels Limited (BNFL), should be created and tasked with developing new reactor designs, advising the PGB, decommissioning old reactors, proposing new fuel cycles, examining issues around waste, etc. Initially, it would be formed out of the existing Nuclear Decommissioning Authority, with all outsourced operations brought back in-house, and the National Nuclear Laboratory. The Office for Nuclear Regulation (“Ofnuke”) would remain strictly independent from both this enterprise and the PGB. Britain should support international cooperation and research in the nuclear sector and, contrary to current Conservative plans, remain a member of Euratom. Given that the cost of government borrowing is lower than the returns expected by private (even co-operative) electricity producers, it would also make sense to nationalise the existing renewable infrastructure. As in the case of nationalising nuclear reactors, this has the further advantaging of bringing expertise into the public sector. On the other hand, given that fossil fuel assets are to be phased out as rapidly as possible, it would likely be better to leave most of these in the private sector and avoid the public having to pay decommissioning costs. The PGB would act as a single purchaser for all privately-produced electricity, providing an effective form of public control over this sector. To ensure that pressure to cut electricity costs does not lead to poorer pay or working conditions in the private companies, sectoral collective bargaining should be used. In the event that the PGB deems the cost of purchasing electricity privately is greater than the cost of nationalising the producer, the producer should be taken into public ownership. Such an arrangement would require a radical change to current regulations. At a minimum, supply companies must be prohibited from purchasing electricity from anyone other than the PGB, in order to ensure that low-carbon electricity is being used. 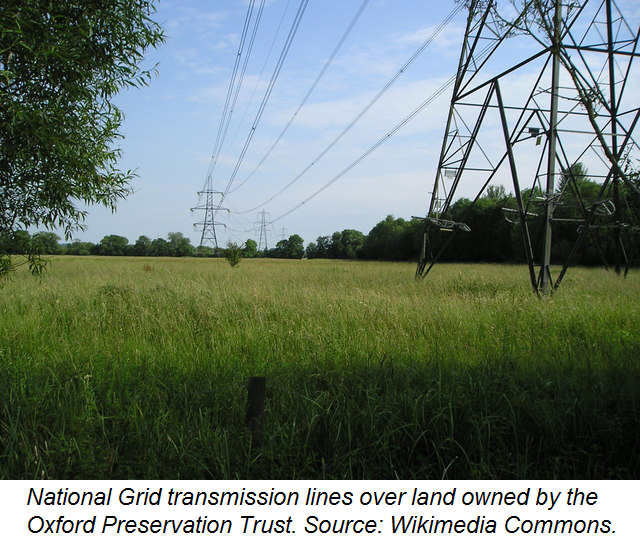 Given this, the PGB should take over the role of the transmission system operator from National Grid plc. Ideally, the transmission infrastructure itself would also be nationalised, although this is not strictly necessary for the energy transition described here. A monopoly in generation also means there is little point in having competing supply companies selling electricity to customers or in separating them from the distribution networks. In the event of devolution to the English regions, a tidy approach would be to require each of them (along with Scotland and Wales) to maintain an electricity board to operate the distribution infrastructure and be the monopoly supplier of power to consumers. It would also be possible to have local authorities play this roll. Alternatively, the PGB could perform this role too, forming a fully vertically-integrated utility. Gas should be mostly phased out so nationalisation is not an issue. Should other uses be found for parts of the gas network (e.g. transporting hydrogen or providing district heating) then the relevant portions of it should be brought into public ownership. In the short term, supply-side of this industry could either be regulated or this role could be performed in the public sector, e.g. by councils or the PGB. The steps advocated above are in radical violation of current EU energy policy which requires an open market, unbundling of electricity distribution from generation, and regulators independent from government. During Brexit negotiations, Britain should strive to avoid being bound such neo-liberal impositions. Failing that we would have the option of either defying EU regulations or trying to work round them. The latter would take us a long way from the institutional set-up argued for in this series. A public monopoly on energy and state-backed loans were necessary for the French role-out of nuclear power, but EU regulations and prohibitions of state aid may prevent the same thing happening today. If nothing else, the UK will have to be willing to violate EU rules on state aid. Energy policy is a highly technical matter involving politics, economics, engineering, fundamental physics, and law. This series of articles can only provide an overview of the issues. The transition to a low carbon economy cannot be based mainly on renewable energy. Nuclear power must play a role. The sort of transition described here will require not only active state intervention in the energy sector, but in many other parts of the economy as well. A Labour government intent on protecting the environment must be prepared for the magnitude of the task and be willing to violate EU directives in order to achieve it. To paraphrase a cliché, the choice before us is clear: socialism or environmental disaster. Posted in: Brexit, Climate Change, Economy, Environment, Europe, Investment, Labour, Politics, Pollution. What happened to the Labour vote in the recent by-elections? I wish we would get away from this fraudulent ‘CO2 is evil’ nonsense – it’s complete bunkum. As for “nuclear” and “local” – Excellent; helped along with wave, tidal, and solar. The election of a Tory government in the UK and Trump as president of the US are major set backs for the environment. What this series of articles has shown is that the left needs to some hard re-thinking when it comes advocating a workable decarbonisation policy. Not only does it need to drop its opposition to nuclear power but also it needs to think about what implementing nuclear power means in terms of implementing a comprehensive economic plan. I think that Chris MacMackin has demonstrated that a lot more is involved than supporting nuclear technology. For example Chris has raised the huge issue of what remaing in the EU single market could involve. As far as I know Labour is completely silent on this issue. For socialists technology should be seen in its social and political context. Taking all the major factors into account this seems to lead to a very strong conclusion in favour of public ownership and control of the nuclear industry. That is a mighty big conclusion. Is it being discussed by Labour’s Policy Commission on Energy and the Environment? I hope so but having seem some of the rubbish emanating from two policy commissions recently I am inclined to doubt it. I hope that Chris will submit his three articles to the commission for their consideration. Although in suggesting that I would not want to raise his hopes. The evidence I have seen so far seems to show that the Policy Commission statements are written without taking submissions into consideration. It seems that only in the final stage are submissions cherry picked for quotes favourable to what has already been decided. Despite that we should not let them have the excuse that alternative ideas were not put to them. When they are ignored this should be challenged by policy commission members and more generally by members of the NPF. Will they do it? The experience of recent years is not good on this and I am going to stop writing this before I drive myself into a depression about the inability of the Labour Party to mount a decent discussion on such vital issues. I will submit my articles to the policy commissions (once I’ve figured out why the website is claiming that my membership number and postcode do not match when I try to register) although, like you, I have little hope that they will be listened to. There is already a detailed discussion of energy technology, although some of its conclusions are slightly different from mine. There are a few different technologies which are endorsed, for example. Notably, it seems to rely more on market mechanisms, such as a carbon tax, to achieve its goals, rather than on nationalisation and direct state intervention as I argue for. Another submission does start to think along these lines, specifically referencing the public nuclear projects of France and Sweden in the 70s and 80s. However, its arguments around nationalisation are less detailed than mine. I like your statement that “for socialists technology should be seen in its social and political context”. Some of the more frustrating people I come across are the Silicon Valley techno-utopian types and the green “no techno-fix” types. The first ignores the fact that for technology to be viable, public support and investment is very much needed. The second seem to think that the fact capital suggests using technology to solve our problems and will claim the credit means that technology should not be part of the solution. The real problem is that capital is often not very good at solving problems with technology (unless helped out by an entrepreneurial state), or will attempt to monopolise the technology for its own gain. Most technologies can be liberating in the right political context and it is our job as socialists to figure out how to make it reach its potential. This was once a fairly common view on the Left (e.g. “Soviet power plus electrification”) but unfortunately seems to have died out somewhat over the past few decades. I am enormously impressed by your three articles and have learnt a great deal from them.It is disappointing that there has been little comment, although I think that in a very technical field like this there is likely to be less division of view and less prior knowledge than in other areas. These are the types of background documents that we need if we are going to develop the policies that are now promised. I hope that Labour utilises your expertise in this area, and I am sure that you would be willing to devote a little time to that. Thank you for the kind words. In fairness, there was quite a lot of comment under the previous articles, although not all of them were terribly productive. I must stress that I am not an expert on energy (something which certain commenters on previous articles were keen to point out). I am a physics grad student who has a fairly good level of non-expert knowledge on these issues and knows how to find out more. I’m certain that there are a few mistakes scattered through my articles, as there are in most long pieces of writing. I have a submission to the Policy Forum prepared and ready to go. I’m just trying to sort out my registration with the website. It doesn’t want to recognise my membership number and postcode. I emailed the webmaster about it on Friday evening, so hopefully sometime in the next few days I’ll get a response. The submission includes material which had to be cut from the version of the articles appearing here, as well as a new paragraph I wrote about tidal energy. I also altered some of the language a bit so that there are fewer direct references to socialism and economic planning–instead I tend to refer to “industrial policy”. The specific policy recommendations remain unchanged, however. I must say I find it a bit surprising that David considers the argument on the need for public ownership of energy to be “a mighty big conclusion” (to be clear, one he seems to agree with). I don’t consider my proposals in terms of energy ownership that radical. Perhaps it’s just because I grew up in a place where electricity remains a public monopoly, so I have a different concept of what’s normal. But nationalisation of energy enjoys majority support in this country. Plenty of countries (such as France and, until just a few years ago, Canada) own part or all of nuclear engineering companies. What is radical is the scale of nuclear build-out which I propose. Labour, as a traditionally social democratic party (as opposed to Green or radical left) will probably be a more fertile ground for this argument than most, but I’m still not confident it will be well received. In particular, many of the sort of radical liberal members which Corbyn attracted will probably oppose it. Convincing the country as a whole will be more difficult still. Nuclear power plants provoke a lot of NIMBYism (as do nearly any new energy projects) and there is still a lot of fear and misinformation around. However, they provide a lot of long-term skilled jobs. According to an association of unions working in the Canadian nuclear industry, the 650MW nuclear power plant near where I grew up employs 700 people (as opposed to 27 for a similarly sized gas power plant). This is something which could help to undermine NIMBY rejections of new power plants. I’ve just submitted these articles (including content which had to be cut to make them short enough for publication on this website) to the Policy Forum website. The website is not exactly a thriving hub of debate and submissions don’t seem to get much engagement from the policy commissions, but at least they can’t say no one offered them information.